Insurance Claim: 2005 West Field MK-100-71 Grain Auger with an ACV of $8,500! S/N: 159513. Collision loss. 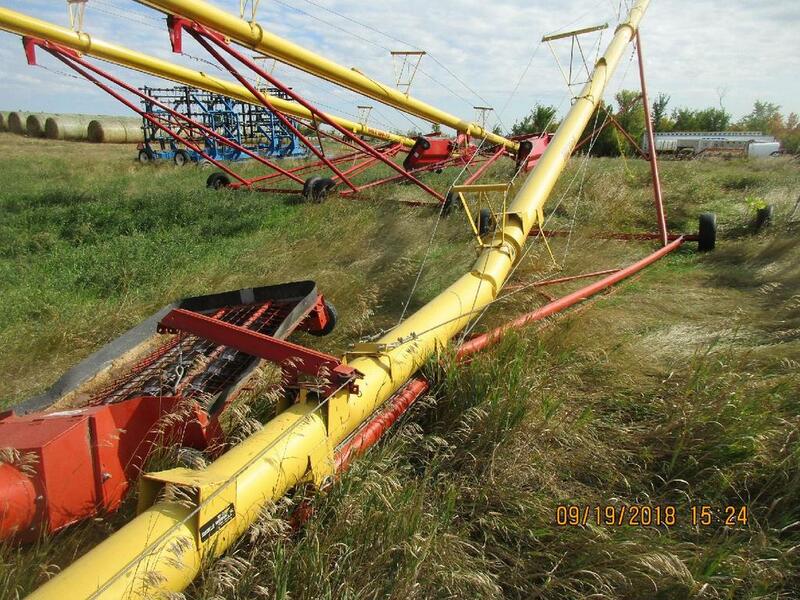 The Hydraulic hose broke, then the auger dropped onto the bin, which kinked the auger tube. The unit has been well maintained. Date of Loss: 8/14/18. Removal: Buyer will need a trailer to load. Buyer is solely responsible for disassembly before loading. Loading assistance is available for a charge of $100 if needed. (The Insured has a John Deere loader.) A tow-behind is NOT recommended. The tires are good,but not for long distance. Buyer needs to call 48 hours in advance to schedule pick up. ALL Items are sold pending seller confirmation. At the close of the sale, the highest bidder’s offer will be sent to the insurance company for their review. IF your bid is accepted, you will be sent an Invoice, and SITE Auction Services will reach out to you to set up payment. Shipping, logistics, transportation, loading, customs, export, and import activities, and all associated costs, are the sole responsibility of the Winning Buyer.